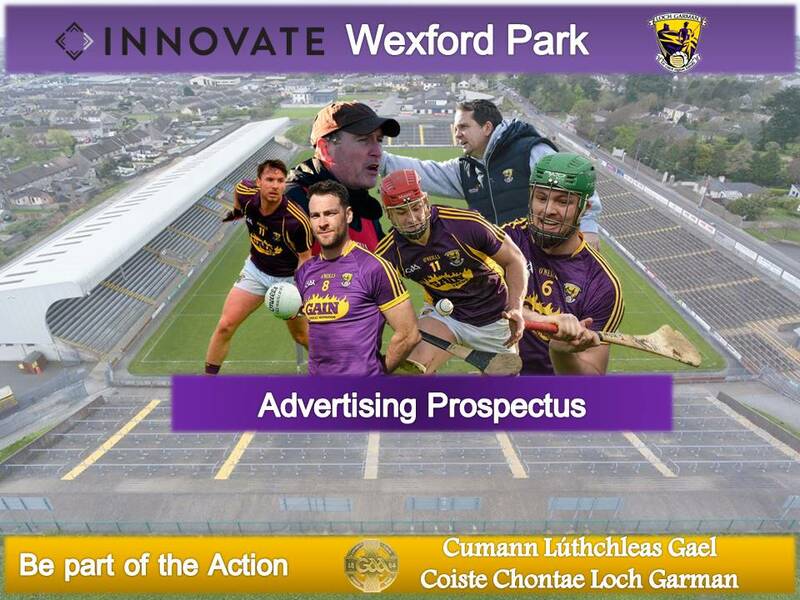 Stadium advertising at Innovate Wexford Park offers you a unique opportunity to play an active part in the development of our Gaelic games in Wexford and more importantly to raise the profile of your business. Widely regarded as having the most loyal and ardent supporters in GAA, over 80,000 will walk through the turnstiles over the coming years. 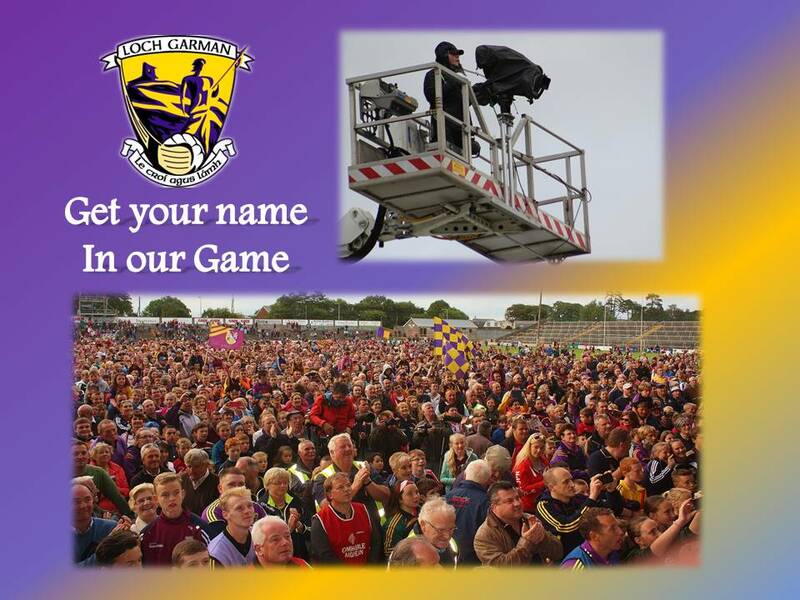 Around the pitch and around the country Innovate Wexford Park supports you with access to capacity crowds and this coming season alone to a huge national and worldwide television audience. Prime advertising units are available in a range of sizes at competitive rates on a five year basis and represents excellent value for money. Payment can be made annually in advance or in full at the commencement of the contract at an attractively reduced rate. 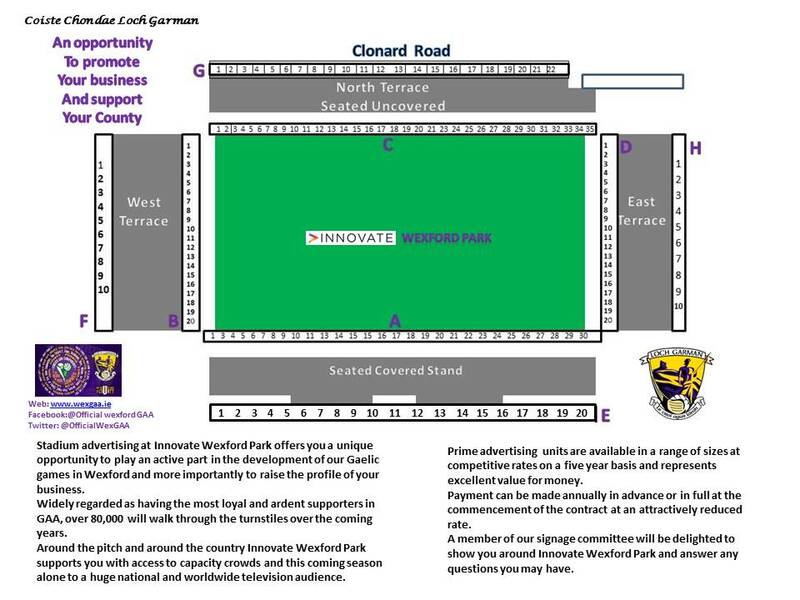 A member of our signage committee will be delighted to show you around Innovate Wexford Park and answer any questions you may have. * The Wexford GAA web-site, www.wexfordgaa.ie received over 1,620,677 million Pageviews and 145,390 Visits in 2014 and is growing year on year. If you’d like to advertise and boost your brands awarness, get in touch here today!